The SharePoint Migration Tool lets you migrate your files from SharePoint on-premises document libraries or your on-premises file shares and easily move them to either SharePoint or OneDrive in Office 365. It is available to all Office 365 users. 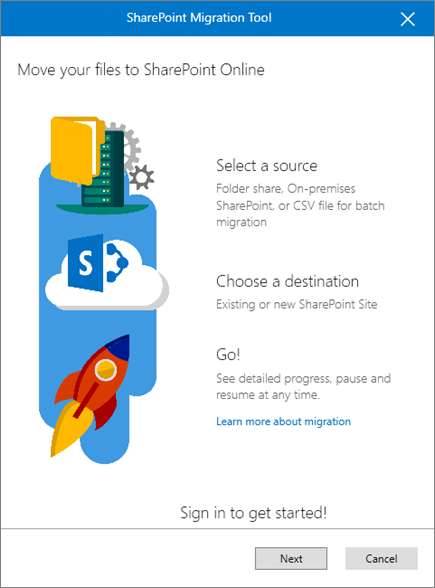 You can download and install the SharePoint Migration Tool using Internet Explorer, Edge or Chrome browser. If you are using the Chrome browser, you need to install the ClickOnce for Google Chrome plug-in before installing the SharePoint Migration Tool. To download the tool, go to SharePoint Migration Tool. Over the past few years I have slowly tried to dump the laptop and go to a tablet instead.. My previous weapon of choice was the iPad, more recently moving over to the Microsoft Surface Pro for work..only because of the key requirements for me to do my day job. But having just found out the following, I might consider going back to my iPad again, as this was one of the key reasons for dumping the iPad. Whether you’re planning your next dinner date or an upcoming meeting with teammates, the Outlook app is there to help you manage and make the most of your day. October 10 2017 Microsoft are adding several of the most highly requested calendaring features, including the ability to sync your shared calendars to your phone and manage and RSVP to recurring events. A big part of Microsoft’s prioritisation of new features and enhancements comes from the votes and feedback Microsoft receive from Outlook UserVoice. You will now be able to view and edit shared Office 365 or Outlook.com calendars, just like you can with your own calendars. Better yet, you can also share your own calendars with others and accept sharing invitations easily right from the app. If you don’t see your shared calendars right now, don’t worry. Microsoft are in the process of upgrading existing shared calendars so that they start syncing to Outlook. However, if you just can’t wait and want the new experience immediately, simply re-accept the sharing invitation from Outlook on iOS or Android. Once you do this, your shared calendar will appear. If you cannot find the original calendar sharing invitation, ask the calendar owner to re-share and accept the new invite from Outlook. And voila! For those of you who manage someone else’s calendar at work, you’ll now be able to do this from the palm of your hand. Manage your delegates, accept a delegation request, and fully view and edit the delegated calendar all from Outlook on iOS or Android. And when you receive meeting invitations and responses, we will more clearly indicate if they are for your or your manager’s calendar, so you don’t get them confused. Following up on Microsoft’s launch of Facebook and Evernote in Outlook on iOS and Android this year, we are releasing support for Meetup—a new Calendar app in Outlook. Meetup brings people together in thousands of cities to do more of what they want to do in life. Now, when you connect your Meetup account to Outlook, you can see your upcoming Meetups directly on your calendar. Microsoft are bringing the best of what Outlook has to offer on the web and desktop to your phone, so you can make the most of your busy day while on the go. Create events with daily, weekly, monthly or yearly recurrences. RSVP to a single occurrence of a recurring event series (e.g. decline one instance without removing the entire series from your calendar). See your coworkers’ availability when scheduling meetings (available previously on iOS, now available on Android). Set an event as private, to keep the details to yourself when sharing your calendar. Mark your calendar events as Busy, Free, Out of Office, or Tentative. This is caused by Microsoft not releasing an update to 2008 to allow it to be accessed in the later browsers. In order to get it to work we can implement a workaround that forces machines with newer browsers to access the site as IE9 compatability view. First of all this fix ONLY works on RDS Gateway servers with 2008 R2 SP1 installed. If you try it on a server without SP1 it will get rid of the error but you wont see any remote apps. 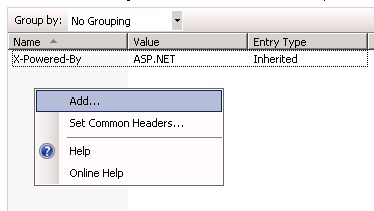 2) Open Up IIS Management Console. 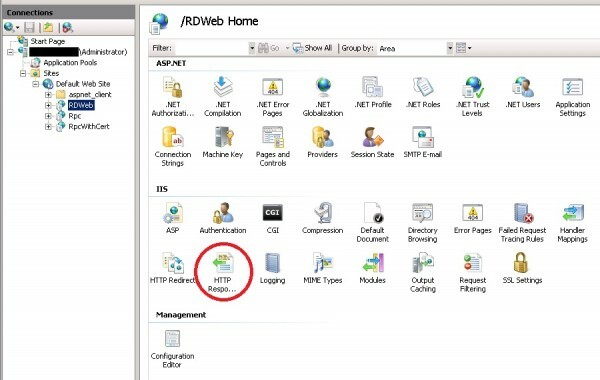 3) Branch out the sites and then left click on RDweb. 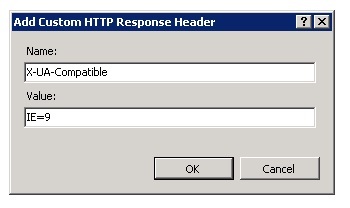 On the right hand side double click on HTTP Response Headers. Now do a IISRESET on the server and you should be good to go..
UPDATE : If you have any pending windows updates also install these as sometimes it wont work until they are installed. If packets are not being dropped and the data receive rate is slow, the host is probably lacking the CPU resources required to handle the load. Check the number of virtual machines assigned to each physical NIC. If necessary, perform load balancing by moving virtual machines to different vSwitches or by adding more NICs to the host. You can also move virtual machines to another host or increase the host CPU or virtual machine CPU. Verify that VMware Tools is installed on each virtual machine. If possible, use vmxnet3 NIC drivers, which are available with VMware Tools. They are optimized for high performance. If virtual machines running on the same ESX/ESXi host communicate with each other, connect them to the same vSwitch to avoid the cost of transferring packets over the physical network. Assign each physical NIC to a port group and a vSwitch. Use separate physical NICs to handle the different traffic streams, such as network packets generated by virtual machines, iSCSI protocols, VMotion tasks, and service console activities. Ensure that the physical NIC capacity is large enough to handle the network traffic on that vSwitch. If the capacity is not enough, consider using a high-bandwidth physical NIC (10Gbps) or moving some virtual machines to a vSwitch with a lighter load or to a new vSwitch. If packets are being dropped at the vSwitch port, increase the virtual network driver ring buffers where applicable. Verify that the reported speed and duplex settings for the physical NIC match the hardware expectations and that the hardware is configured to run at its maximum capability. For example, verify that NICs with 1Gbps are not reset to 100Mbps because they are connected to an older switch. Verify that all NICs are running in full duplex mode. Hardware connectivity issues might result in a NIC resetting itself to a lower speed or half duplex mode. Use vNICs that are TSO-capable, and verify that TSO-Jumbo Frames are enabled where possible. E1000e: This feature emulates a newer model of Intel Gigabit NIC (number 82574) in the virtual hardware. This is known as the “e1000e” vNIC. e1000e is available only on hardware version 8 (and newer) virtual machines in vSphere 5. It is the default vNIC for Windows 8 and newer (Windows) guest operating systems. For Linux guests, e1000e is not available from the UI (e1000, flexible vmxnet, enhanced vmxnet, and vmxnet3 are available for Linux). VMXNET 2 (Enhanced): The VMXNET 2 adapter is based on the VMXNET adapter but provides some high-performance features commonly used on modern networks, such as jumbo frames and hardware offloads. This virtual network adapter is available only for some guest operating systems on ESXi/ESX 3.5 and later. Because operating system vendors do not provide built-in drivers for this card, you must install VMware Tools to have a driver for the VMXNET 2 network adapter available. VMXNET 2 is supported only for a limited set of guest operating systems. To determine if the the VMXNET 2 (Enhanced) adapter is supported for your guest operating system and vSphere ESXi version, see the VMware Compatibility Guide. You can use enhanced VMXNET adapters with other versions of the Microsoft Windows 2003 operating system, but a workaround is required to enable the option in the VMware Infrastructure (VI) Client or vSphere Client. If Enhanced VMXNET is not offered as an option, see Enabling enhanced vmxnet adapters for Microsoft Windows Server 2003 (1007195). Jumbo frames are not supported in the Solaris Guest OS for VMXNET 2. VMXNET 3: The VMXNET 3 adapter is the next generation of a paravirtualized NIC designed for performance, and is not related to VMXNET or VMXNET 2. It offers all the features available in VMXNET 2, and adds several new features like multiqueue support (also known as Receive Side Scaling in Windows), IPv6 offloads, and MSI/MSI-X interrupt delivery. For information about the performance of VMXNET 3, see Performance Evaluation of VMXNET3 Virtual Network Device. Because operating system vendors do not provide built-in drivers for this card, you must install VMware Tools to have a driver for the VMXNET 3 network adapter available. VMXNET 3 is supported only for virtual machines version 7 and later, with a limited set of guest operating systems. To determine if the the VMXNET3 adapter is supported for your guest operating system and vSphere ESXi version, see the VMware Compatibility Guide. In ESXi/ESX 4.1 and earlier releases, jumbo frames are not supported in the Solaris Guest OS for VMXNET 2 and VMXNET 3. The feature is supported starting with ESXi 5.0 for VMXNET 3 only. For more information, see Enabling Jumbo Frames on the Solaris guest operating system (2012445). Windows Server 2012 is supported with e1000, e1000e, and VMXNET 3 on ESXi 5.0 Update 1 or higher. One of the biggest challenges I have when migrating customers over to SharePoint is moving their files and folders. On the surface this is a daunting task as you can’t just give SharePoint your folder structure and tell it to do the work for you, so below are some of the processes I use. Recreate the folder structure in SharePoint and upload the files via SharePoint in batches doing a multiple file upload to one destination folder at a time using explorer view. Not much fun for anyone, but it can be done. This has also proved to be unreliable, some machines need patching to get this to work, so I have found myself spending a lot of time correcting errors with the WebDAV service in order get this to work… This is my least favourite method. The ability to invite external users to the Team site is enabled by default, so site owners and site collection administrators can share the Team site or any of its subsites with external users at any time. However, if you are the Office 365 admin, you can choose to disable the feature for all sites so that no future invitations can be sent. When this feature is deactivated, any external user currently invited to sites will no longer be able to access the sites. Enabling external sharing is not the same thing as enabling anonymous access. When external sharing is enabled, users must be authenticated (by signing in) before they can access internal resources. Go to Admin > Service Settings > sites and document sharing. When you deactivate external sharing, any external users who had access to the site at the time the feature was deactivated are denied access to the site and no future invitations can be sent. If the feature is reactivated with external user names in the SharePoint permissions groups, then those users will automatically be able to access the site again. To permanently prevent a user from accessing the SharePoint site, you can remove them from the list of external users. If external sharing is turned off globally, any shared guest links will also stop working. If the feature is later reactivated, these links will resume working. It is also possible to disable individual links that have been shared if you want to permanently revoke access to a specific document. If you need to remove external users so that they no longer have access to sites that have been shared with them, you can do so by removing them from the list of external users in Office 365 Service Settings. Click Remove individual external users. Select the external users you want to remove, and then click Delete (the trash can icon). A little over two years ago, I purchased my first MAC Book Pro and have not looked back since. Admittedly, the first thing I did was to install Windows as VM on it, but this was a case of having to because of my day job. I have recently moved to PKF Cooper Parry LTD as a Infrastructure Consultant. 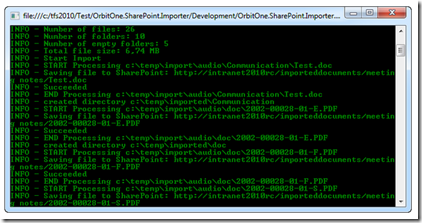 One of my first projects is to migrate a small company’s data to O365 SharePoint. I will be delivering SharePoint training to end users next week, but have identified that the directors of the business all run from MACs. One question to me in a planning meeting was…. Can I access SharePoint from my MAC? The answer is yes, and in some cases feels simpler to access your data than it does on a Windows PC. From Spotlight look for “Microsoft Document Connection” and open it. Microsoft Document Connection, which was introduced in Office for Mac 2008 SP2 can connect to both SharePoint sites and OneDrive (not yet OneDrive for business). Multiple file upload is simple with this application – just drag and drop them into the application then everything is done. The application itself can be seen as a very lite version of SharePoint Workspace, although it doesn’t do much beyond upload, read, edit, check in/check out. You cannot delete a file, create a new folder, or edit its metadata properties in this app, and to get the latest update you need to hit Refresh button. Be sure to disconnect the remote PowerShell session when you’re finished. If you close the Windows PowerShell window without disconnecting the session, you could use up all the remote PowerShell sessions available to you, and you’ll need to wait for the sessions to expire. To disconnect the remote PowerShell session, run the following command. To help prevent denial-of-service (DoS) attacks, you’re limited to three open remote PowerShell connections to your Exchange Online organization. TCP port 80 traffic needs to be open between your local computer and Exchange Online. It’s probably open, but it’s something to consider if your organization has a restrictive Internet access policy. Over the festive season, I was fortunate enough to acquire a Raspberry PI. I have never had the opportunity to play with one of these, I had to do a bit of research into what I needed to do to get this up and running. To get all the software I needed I went to the following website where you can download all the required “NOOBS” (New Out Of the Box Software) you require. Once the operation system had been installed I needed to work out how to get access to the PI remotely. The following are the steps I took in order to make this work. Navigate to boot_behaviour and click enter. This should make it so that the GUI interface start automatically. 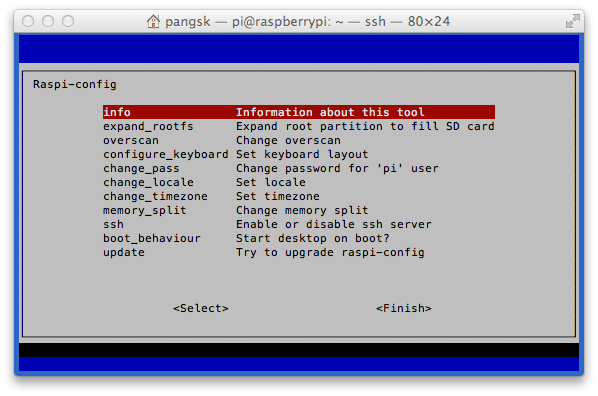 Boot into Raspian and log in (Username. pi, Password. raspberry), this will all be command line stuff, so no need to log in to the GUI. The line . . . . Implies that we’re currently getting out IP address via DHCP, meaning it’s being dynamically registered by the router. This is what we want to change! Fist of all we need to grab some information from our router and Pi. There’s a couple of command we need to run to get this info. Have a pen and paper handy! . . . This reveals your router information, the bit you want is after eth0 (the ethernet connection). . . .
Write down the following information. . .
We need a little more information before we proceed. Use the command. . .
We now need to plug this information into the Pi’s network configuration file using a text editor. I always use nano text editor. . .
To clarify what each part means. . . .
address – The address you want to give your Pi, this can be any IP in the network range, but it’s usually advisable to go higher rather than lower, or you could end up logging different devices to the same IP! I’ve selected 192.168.1.81, as we’re already registered to that address (denoted by ‘inet addr‘), but this can be any IP address from the range192.168.1.1 to 192.168.1.255.
netmask – The ‘Mask‘ address we wrote down earlier. network – The router IP address, this is the ‘Destination‘ Address was found earlier. You can also grab this off your router, it will say on the side somewhere. broadcast – The ‘Bcast‘ address we wrote down earlier. gateway – This is the ‘Gateway‘ address we found earlier. So, it should look something like the above, but with your values! Remember to save before exit, CTRL+X (exit) then yes to save changes! Then we’ll need to reboot and check your changes. . . Which should reveal your new settings. .
To double checks all is working as it should, ping your ‘Gateway‘ Address. . . This should ping successfully and all packets should be received. If something’s not right double check through all your IP addresses, and make sure you’re pinging the right address too. Remember you can always revert back to DHCP by reversing the steps. Once installed reboot your Raspberry Pi. The xrdp process will auto load and start when you boot the Raspberry Pi. We can currently see that the xrdp service is running, however I’m disconnected. The following made it easy to transfer that autocomplete data to a new profile. You would create and log in with a new profile, let’s call it “Personal Email”. This would create a blank new NK2 file called “Personal Email.NK2″. Then you could simply delete that NK2 file (I usually renamed it to Personal Email.OLD” – force of habit). Next, rename “Work Email.NK2″ to “Personal Email.NK2″. When you log into your new profile all your auto-complete data was there. This all changed in Outlook 2013. Outlook 2013 did away with the NK2 file completely and merged all the autocomplete data into the users Exchange Mailbox/PST file. This was great in part as many people often forgot to transfer that NK2 file when they moved to a new computer, or, the autocomplete data was lost in the event of a catastrophic failure, such as a failure of the local hard drive. You may find one or more files called. This is basically the new cache file for AutoComplete. The string of numbers is likely a SID of some form but where it is referenced (probably the registry) is beyond me. All you need to do is identify what is the old autocomplete.dat file, normally by looking at the size of the file, the old one will be considerably bigger than the new one as it contains all of your cached addresses. Rename the old one to .old and copy the name before the .dat and rename your new one.